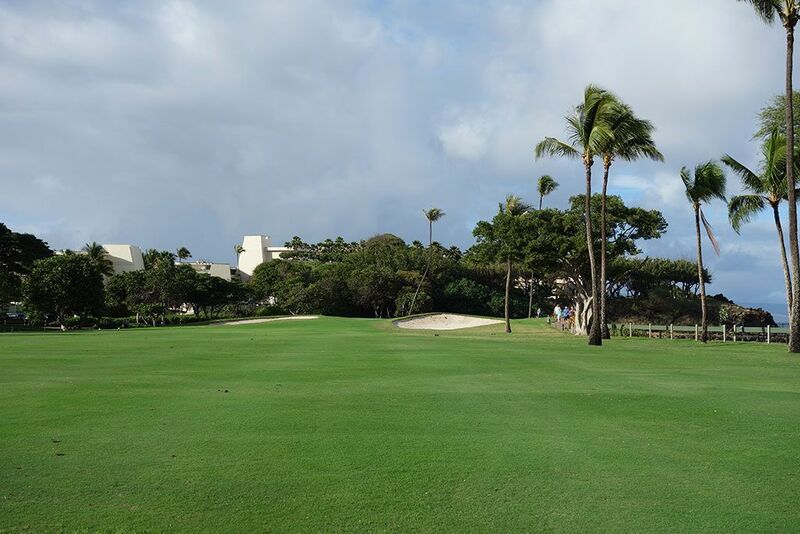 Course Website: Official Website - Visit Royal Ka'anapali Golf Course's official website by clicking on the link provided. 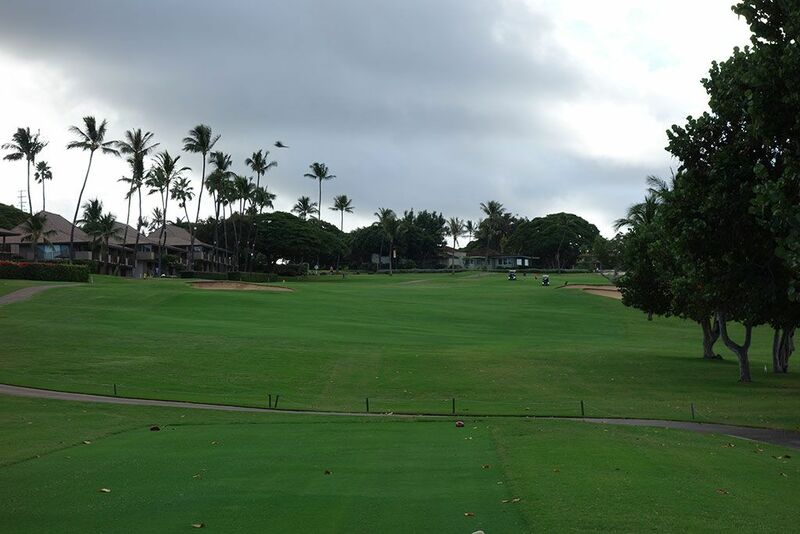 Accolades: Ranked 26th in Hawaii on Golf Course Gurus' Best in State list. 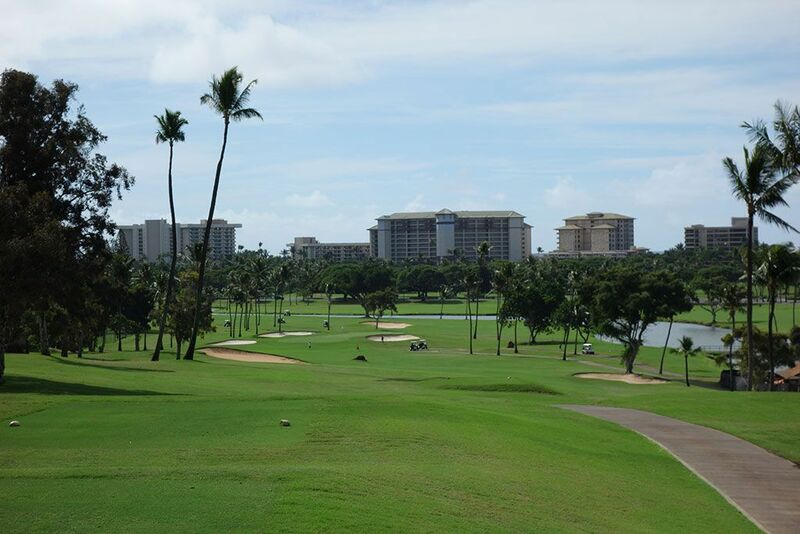 What to Expect: Royal Ka'anapali helped introduce resort golf to the state of Hawaii in 1962 with this Robert Trent Jones Sr. design. 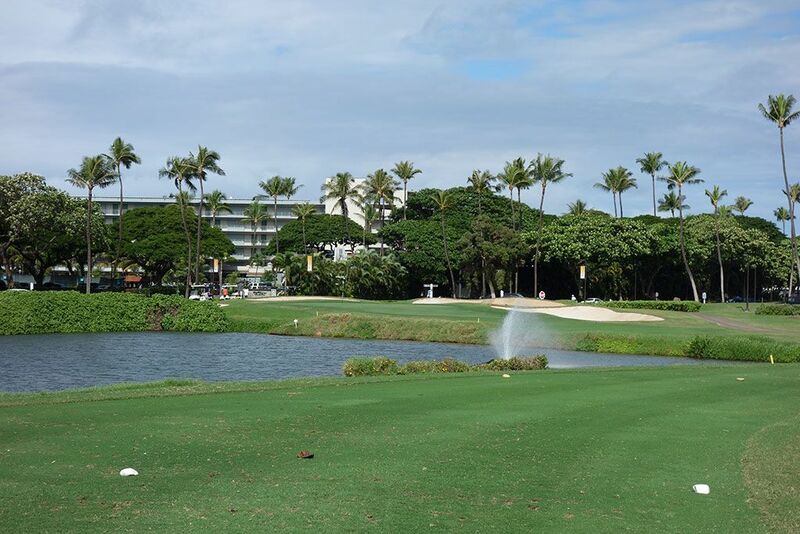 In typical fashion for a resort course of this era, the emphasis of Ka'anapali is more on the development of the resort hotels and condos with the golf courses winding around them. 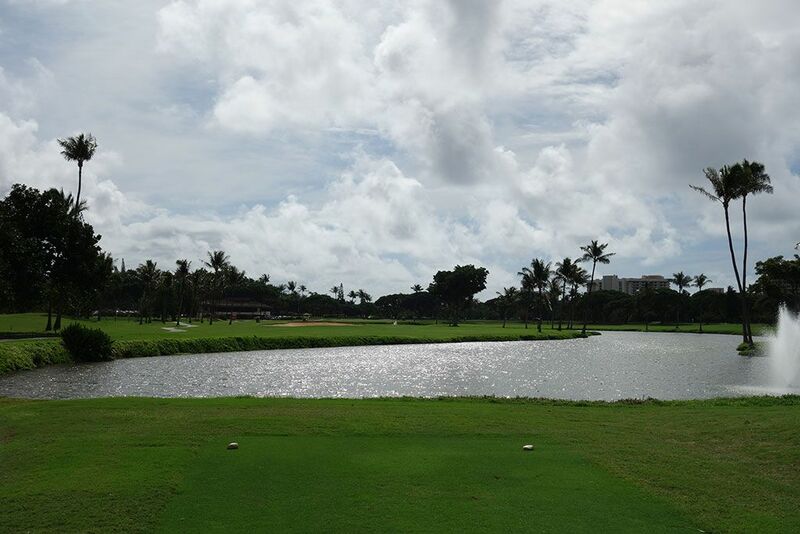 The course is located at the immediate entrance into the property with the hotels/condos bordering the stunning beach. While ocean views are afforded from many of the holes, those views are always hampered by these high rises peppering the foreground. 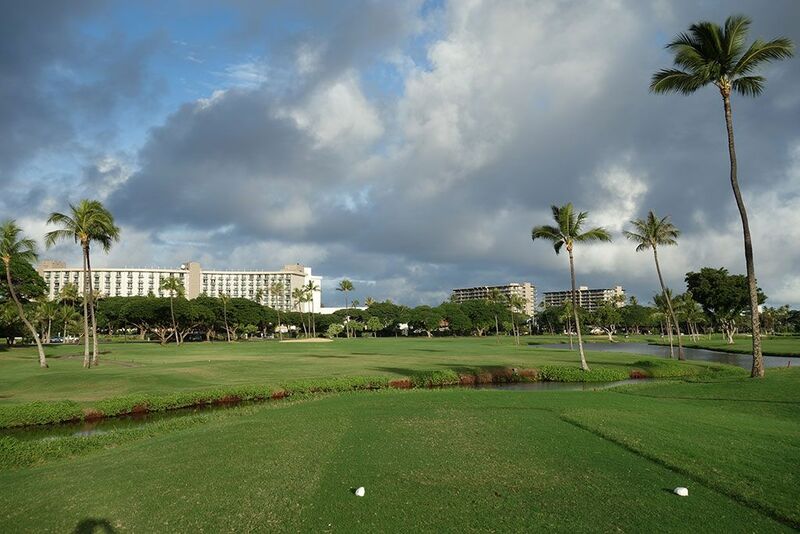 The single hole that finishes down by the ocean doesn't feel like a pure coastal golf experience since a pathway separates the green from the beach and unfortunately features numerous joggers and resort guests bustling along it. The course features Bermuda grass which is not maintained to the level I was expecting though it is certainly playable. 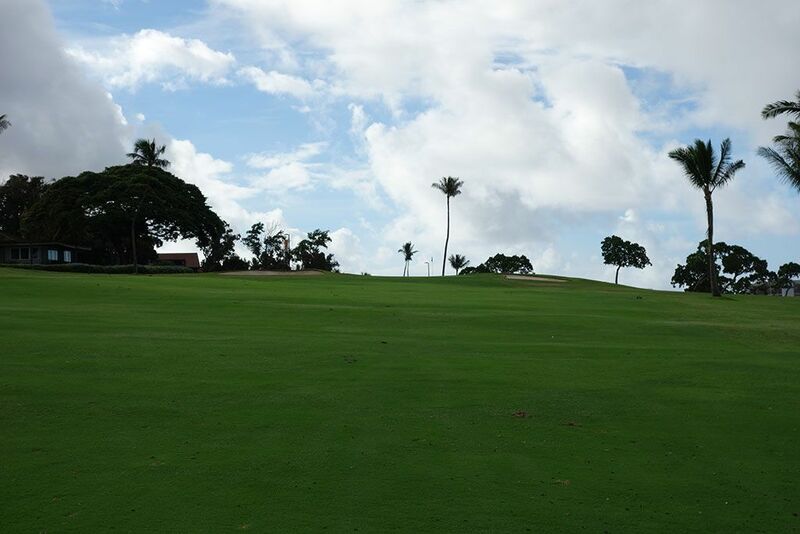 Players that struggle getting the ball high in the air may find themselves discouraged by the fact that three of the four par 3s and a handful of additional holes play uphill which can be especially bruising when played into the wind. Lastly, Roy's restaurant is featured inside the clubhouse and boasts views across the 18th hole from many of the tables for those looking to dine before or after their round. 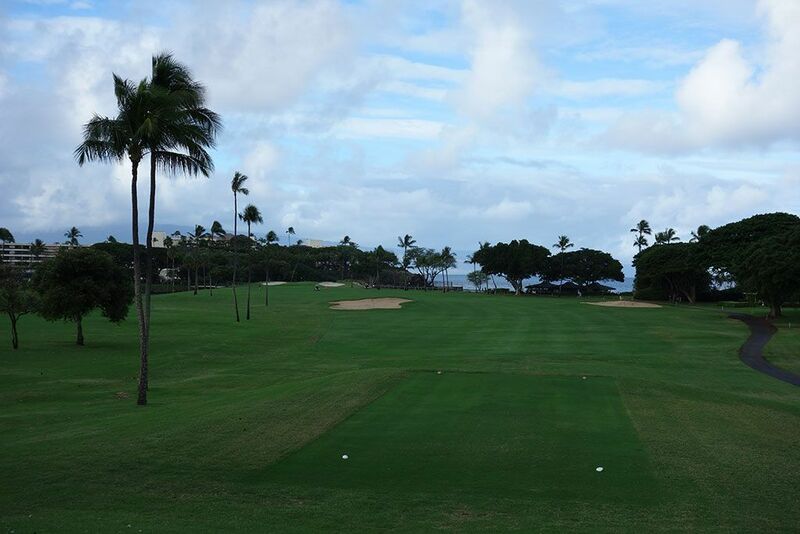 Signature Hole: 5th Hole – 474 Yard Par 4 – This is the best hole on the 36 found at Ka'anapali. A lengthy two-shotter, the 5th plays downhill with a pair of bunkers flanking the driving zone and three more bunkers hugging the green. Any approach shots that miss right will tumble its way to the beach where sunbathers are quick to throw your ball back to you. Nice views and a stout challenge add up to a solid offering here. Best Par 3: 17th Hole – 155 Yards – A cute one-shotter over the water, the final par three at Royal Ka'anapali requires accuracy with water fronting the putting surface and four bunkers surrounding the back and sides. The pond would be a great compliment to the ocean from an aesthetics perspective, but a collection of trees and buildings block the Pacific from view. Best Par 4: 16th Hole – 437 Yards – The most exciting tee shot of the day, the 16th plummets 50 feet from tee to green and affords the opportunity for a big drive. 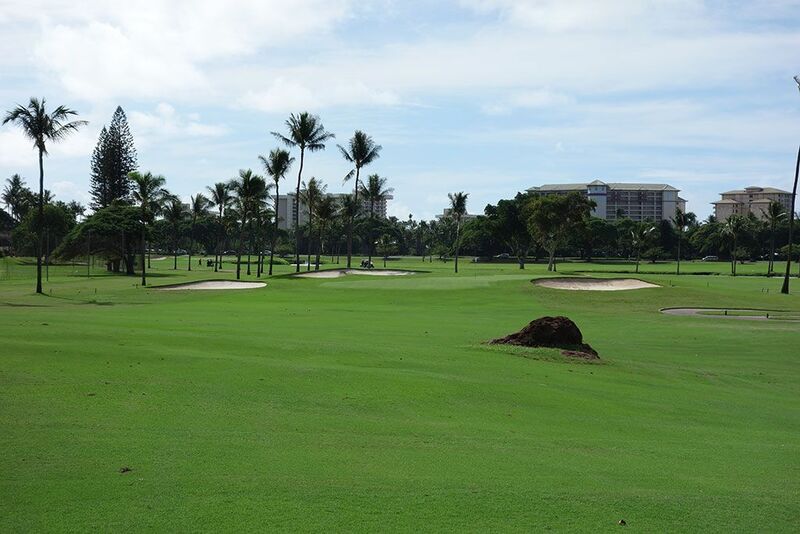 A pair of orange bunkers are found outside of the fairway while a trio of white bunkers protect the green. Swing away on your drive but don't miss left where o.b. awaits as condos set the boundary. Best Par 5: 1st Hole – 519 Yards – The opening hole features water running the entire length of the right side of the hole and a pair of bunkers on the left side. There is plenty of room left, so if you tend to slice the ball make sure you aim far enough left to account for it because the right side has zero forgiveness. Water is the factor to consider again on the approach shot as it hugs the right side and the putting surface tightens the deeper it gets. Birdie Time: 6th Hole – 460 Yard Par 5 – This feels like cheating. 460 yards for a par five? Not getting a birdie will quickly cough up a ½ stroke to the field and almost always lose the hole in a match, of halve it if you're lucky. 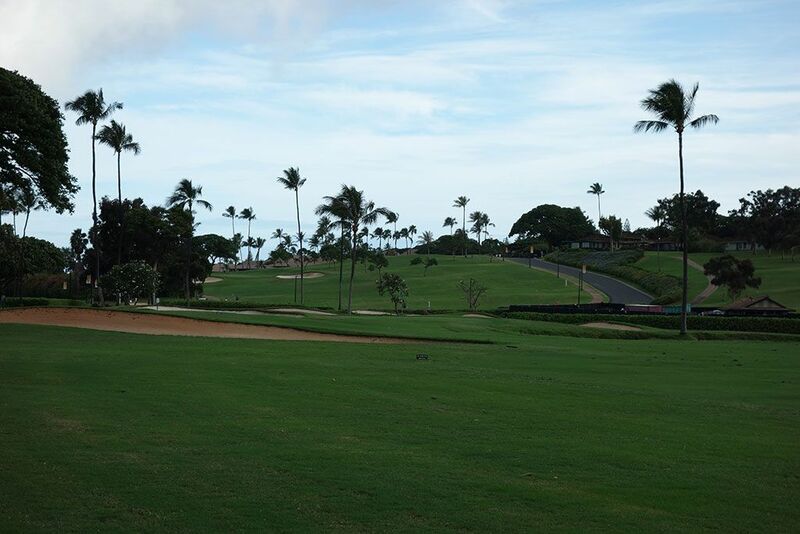 The main concern to take into account is the 20 foot climb from tee to green and the left to right tilt in the fairway. A solid drive will leave you with an iron into the green and a good chance of having an eagle putt. Approach shots that come up short will still afford a relatively easy uphill chip and chance to hit is close for good look at birdie. Bogey Beware: 18th Hole – 440 Yard Par 4 – The closing hole plays over a pond on its ascent to the clubhouse. A large bunker on the left side of the fairway gobbles up balls that aren't on line while water sets the entire right boundary. Accuracy off the tee is mandatory to set up a good look on your approach shot where four bunkers hug the left side and rear while the right side is nothing but water. This is a demanding approach shot and a quality test at the end of a match.